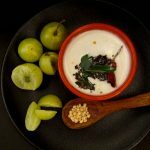 An easy recipe with amla/nellikkai/gooseberry. 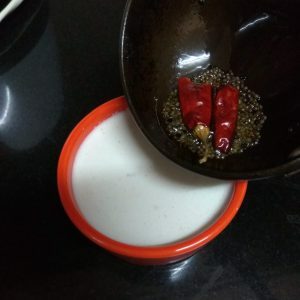 Serve with plain rice, puliogare, lemon rice…. Wash and clean amla and cut into small pieces. 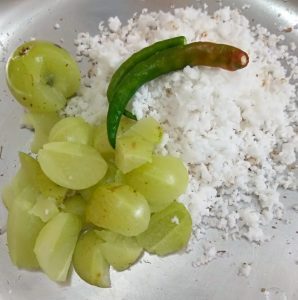 Grind the grated coconut, amla, green chillies in a mixer little water to a paste. 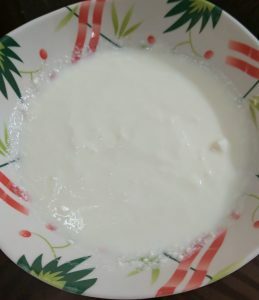 In a mixing bowl, beat the curd and add salt, amla coconut paste and mix together. Finally in a frying pan heat oil and add mustard, dry red chillies, curry leaves and hing. 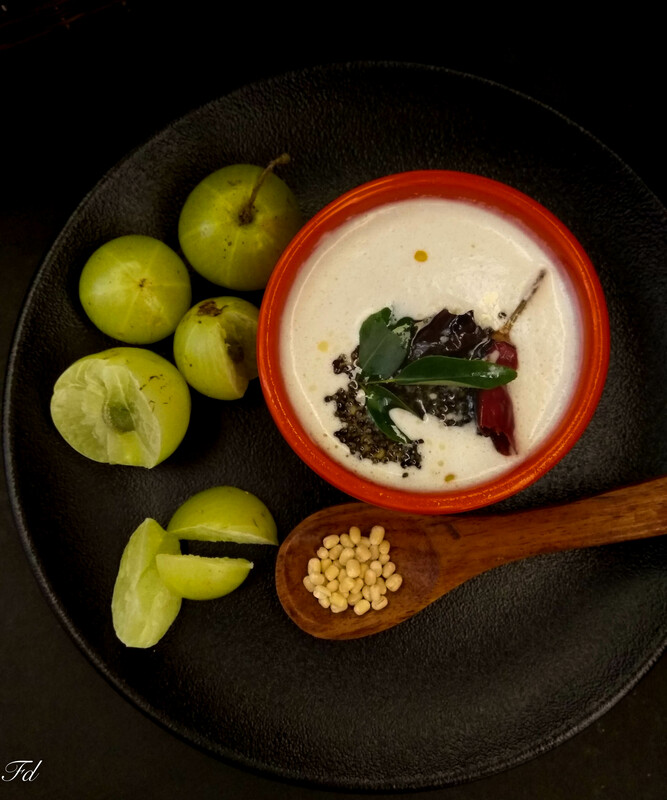 1.Wash and clean amla and cut into small pieces. 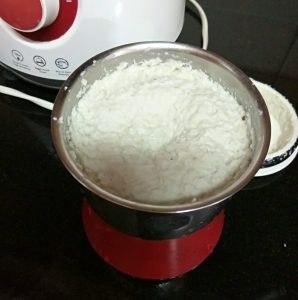 2.Grind the grated coconut, amla, green chillies in a mixer little water to a paste. 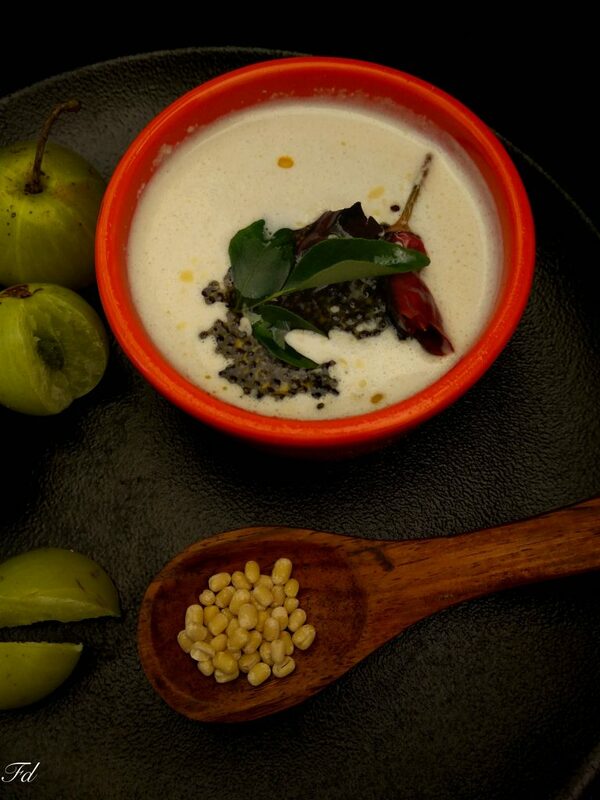 3.In a mixing bowl, beat the curd and add salt, amla coconut paste and mix together. 4. Finally in a frying pan heat oil and add mustard, dry red chillies, curry leaves and hing.